Spindrift Collections is the creation of Sydney based designer Natasha Wakefield. Inspired by the ever changing beauty of the ocean and by a sense of wanderlust for places not yet explored. Each piece is designed and handmade by Natasha in her studio in the beautiful northern beaches of Sydney, using original sea smoothed beach glass hand collected from beaches around the world along with sterling silver and natural materials. 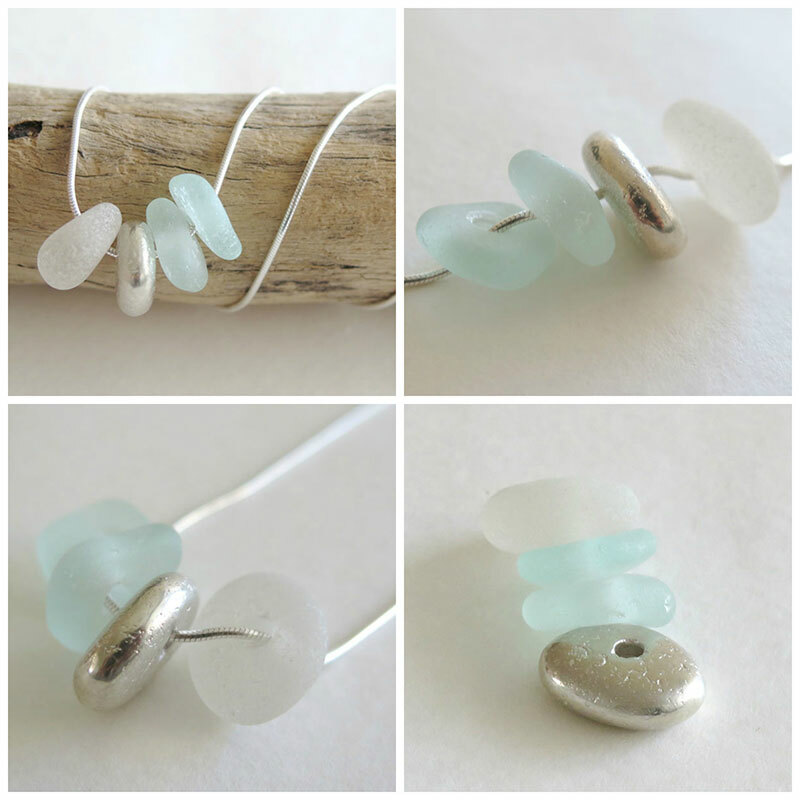 Beach Glass Necklace – Beautiful cast beach glass in solid sterling silver – from an original sea smoothed piece of glass, alongside 3 original sea smoothed beach glass gems. The cast sterling silver piece has a wonderful quality having been cast directly from an original piece of beach glass, its solid sterling silver and has all the texture and originality of a piece of beach glass, but has been preserved in sterling silver. 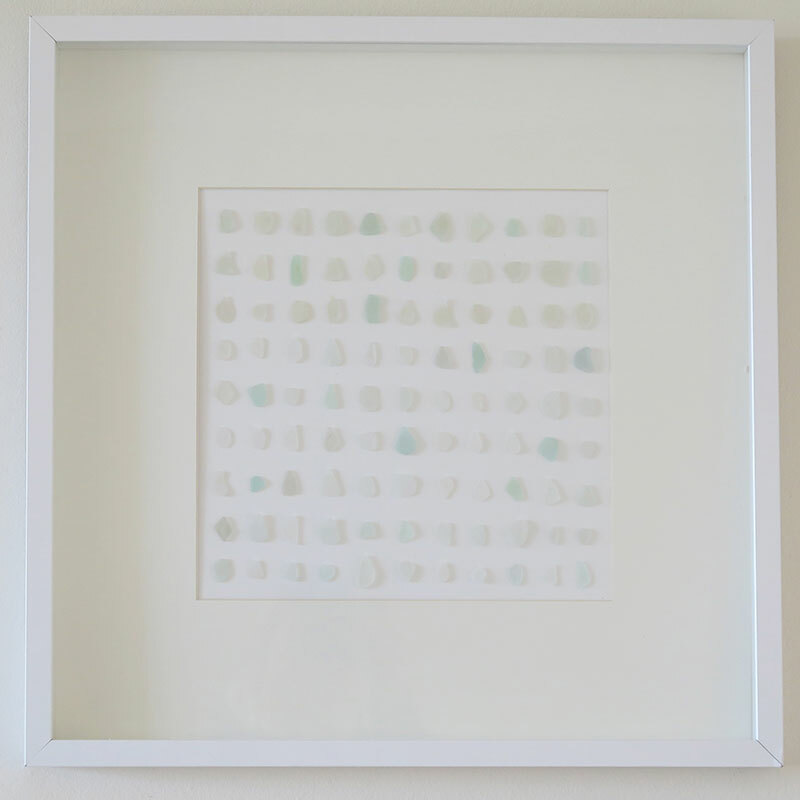 Beach Glass – Hand collected original sea smoothed beach glass, organised & set in a small box frame 52cm x 52cm. 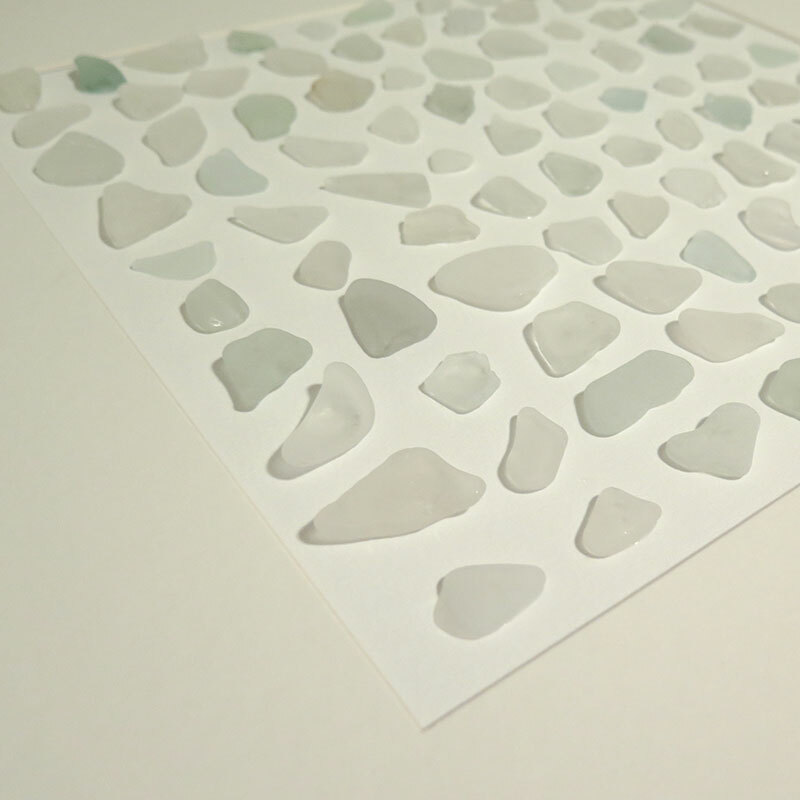 Beach glass is a beautiful medium, recycled, reclaimed and collected from local beaches in Sydney. Perfect artwork for the beach house or summer retreat.